Ned Beaumont is a gambler on a losing streak. When his best friend, political boss Paul Madvig is accused of murder, Beaumont sets out to prove him innocent – which would be easier if Madvig wouldn't try so hard to seem guilty. And it’s not helping matters that Beaumont might be falling for the woman with whom Madvig is already in love. 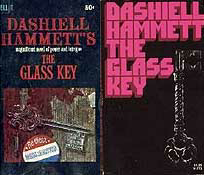 The Glass Key originally appeared in the March, April, May and June 1930 issues of Black Mask, before Alfred A. Knopf published it in hardback in 1931. 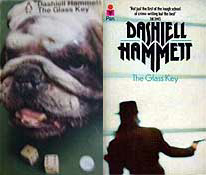 It was Hammett’s favorite of his five novels, and is also the most stylized. The characters are defined only by their outward actions, and their inner motivations are often unclear. 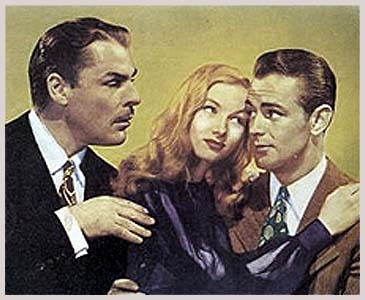 First filmed in 1935 with George Raft, it was the 1942 version that made stars of Alan Ladd and Veronica Lake. While large chunks of the film were faithful to the novel, the overall tone was lightened considerably, including a thoroughly artificial "Happy Ending." Although not based on The Glass Key (yeah, right! ), the 1990 Coen Brothers film Miller's Crossing resembled the novel in many ways, including its ultra-gritty view of politics, greed and corruption.